Fall is a busy time of year as days get shorter, kids return to school, and we prepare for the coming winter snow. Even with full schedules Rucci Law Group remains committed to community service and contributes to a variety of fund-raising activities for Darien and beyond. A fall gala, that raised money for scholarships, along with an Airlift benefit that ended with a few lucky party guests leaving for Latin America were the main highlights in October. Rucci Law Group donated both talent and time, in addition to sponsoring two major events. Several of RLG’s employees were involved in the College Tailgate Gala on September 26, 2015 for A Better Chance. This organization provides scholarships to academically talented girls of color from underserved areas, allowing them to realize their academic and social potential while living in Darien and attending Darien High School. The event planning committee included RLG’s own Amy Zabetakis, who served as Auction Chair, along with Sarah Mead and Dianne Covello. I didn’t know much about the ABC of Darien program prior to being asked to help with event planning. The biggest take away for me was seeing how ABC has made a difference in many girls lives over the years. The “bonus” was working on the event with a great group of ladies. We worked hard, but we had a lot of fun doing it, said Dianne Covello. Sarah Mead seconded Dianne’s remarks, adding, The evening was a great success in that it raised not only money for such a worthwhile cause, but also awareness of ABC. 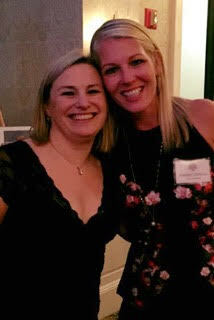 AmeriCares hosted its annual Airlift Benefit on Saturday, October 3, 2015. This party, held in a hangar at Westchester Airport, culminates in a lucky few guests leaving the Benefit to see first-hand the work done by AmeriCares. Joe Rucci, Board member of this humanitarian organization, arranged for RLG managing partner Amy Zabetakis to have a seat on the plane. 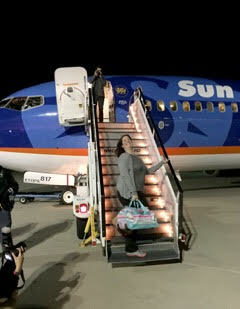 After swapping her heels and party dress for clothes suitable for a long flight, Amy boarded the plane for Guatemala. In Guatemala, the AmeriCares group, visited a few of the organizations with which AmeriCares partners. AmeriCares is the largest provider of healthcare supplies and medicine around the world. AmeriCares has unmatched talent at leveraging partnerships to get medicine and health care supplies into the hands of providers that can do the most good with those supplies. In Amys own words: The first stop for my group was at Hogares San Jose de la Montana where nuns provide a home and care for a group of 45 girls who are either orphaned or whose parents cannot afford to care for them on one side of the building and 55 elderly residents on the other side. While we toured the girls side of the building, a thirteen year old girl who resided there held my hand the entire time even though I was only able to converse with her enough to find out her age. On the elderly residents side the residents played music for us and danced with us. AmeriCares assists this facility by providing medical supplies for its onsite clinics. Our second stop was at Hospital San Juan de Dios one of Guatemala’s two large public hospitals where we visited the pediatric wing. The conditions in the hospital were depressing. There was not enough space for the patients, the beds were in poor condition, and families were sitting on the floor in the hallways. However, with the help of medical supplies provided by AmeriCares, the doctors in the hospital are working miracles by, for example, providing cancer treatments, successfully completing kidney transplants, and treating a variety of life threatening ailments. As the doctor that provided our tour explained, they know that the conditions are bad but they are doing great work with what they have. Our last stop was at Operation Milagro, which provides same day, free surgery to individuals with visual impairment who travel to the facility from around the country. Operation Milagro is staffed with doctors from Cuba and the Cuban government provides much of the funding. AmeriCares supplies medicine so that patients are either able to avoid surgery all together or take medicine home with them after their surgery is completed. The doctors in this facility were so proud and dedicated to the work that they do that they came in and invited patients to come in on a Sunday, a day that they are normally closed, to show us the facility. At the end of our visit we were treated to lunch by the Order of Malta, AmeriCares local partner in Guatemala. This experience was truly eye opening. I have supported AmeriCares for a number of years, but to see the vast need and the gratitude from the recipients first hand was incredible. As was stated by Michael Nyenhuis, the AmeriCares CEO, without good health, all of the other efforts to help individuals living in poverty are wasted people cannot go to school or a job even if the opportunities are there if they do not have good health for themselves and their families. I am very fortunate to live the life that I live and I am grateful that my daughter has never lacked for proper medical care because needed medicine or supplies were unavailable. There is so much that needs to be done for people around the world that do not have the same privilege that I have. During my trip I had a chance to see how AmeriCares is providing tools to individuals who can then make and even bigger impact within their community. I hope that you will take some time to learn about AmeriCares and considering joining me in support of the organization.